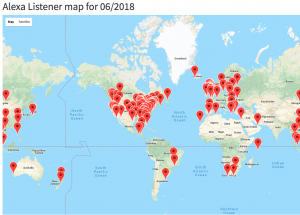 With millions of Alexa enabled Amazon Echo devices already sold (over 20 million in 2017), getting in on the action early and making your Radio Station available to all of these users would certainly get you more listeners for your station. NOW is a great time to get your own Radio Skill and get ahead of the crowd. Many Radio Stations are already taking advantage of broadcasting to these homes by getting Alexa to play their stations with a simple ‘Alexa, play My Radio Station’. In fact, without even advertising our test skills, we’ve seen hundreds of people tuning into our demo radio skills… This shows that people are actively looking for new Alexa Skills and new radio stations to stream throughout their homes and Amazon Alexa enabled devices. Now is the time to get a piece of this action and get YOUR station at the top of peoples favorite Skill lists. autopo.st are able to help you reach these homes and valuable listeners by creating and publishing your very own ‘Alexa Skill’ for your Radio Station. A ‘Skill’ is like an app, and allows people to command Alexa to play your live radio stream with a simple sentence such as ‘Alexa, play My Radio Station’. 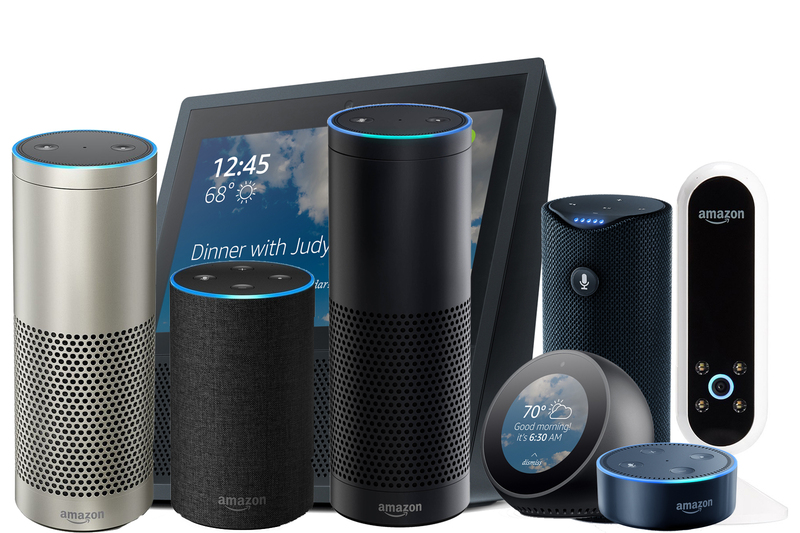 The development team at autopo.st are able to work with you and get YOUR Radio Stations ‘Alexa Skill’ created and published to the Amazon Alexa Skill Store so that millions of users can stream your radio station on their Amazon Alexa-enabled device. All we need from you are some details of your Radio Station (Station name), some images for the Amazon Alexa Store and a choice of how to get Alexa to stream your station and you’ll have your Radio Station available to millions of homes and devices. Sign up to our Alexa Radio Skill service here (existing customers may sign up via the control panel). Submit your details (Radio Station name, how you want to Alexa to play your station and some logos). We create and publish your Alexa Skill to the Amazon Skill Store. Advertize your Skill to your listeners and tell them how to get the Skill (or they can find it in the Amazon Skill Store). Start streaming your station to millions of devices with a simple ‘Alexa, play My Radio Station’! Via our control panel you can update your streams (in real time), get stats on listeners and even view your monthly listeners on a Google Map to see who is tuning in, at what time and from where! Your customized ‘invocation name’, you choose how to make Alexa play your station. Standard commands such as ‘Alexa, play/stop/pause/resume’, ‘Alexa, volume up/down’. Ask Alexa what song is playing on your station (if available). Listener maps. See where you listeners are tuning in from. Update Main/Backup streams in real time. Ready to reach millions of homes and devices? More questions? View our Amazon Alexa Radio Skill FAQ page here. Please view the technical requirements and Terms and Conditions.